University System of Maryland officials met on Wednesday with members of Maryland’s congressional delegation to further discuss the university’s handling of its varsity football program in light of the recent heatstroke death of College Park player Jordan McNair. Congressional members who attended the meeting include U.S. Sens. Ben Cardin and Chris Van Hollen and U.S. Reps. Elijah Cummings, Steny Hoyer, Jamie Raskin, C.A. Dutch Ruppersberger and John Sarbanes, according to The Baltimore Sun. The meeting comes after the University of Maryland College Park named University of Alabama coordinator Mike Locksley as its new football coach, to evaluate the program’s functioning. 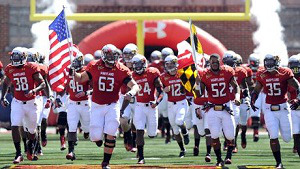 The football program has been under scrutiny after failing to assist McNair, a 19-year-old offensive lineman who collapsed during a Terrapins practice in May and died two weeks later.